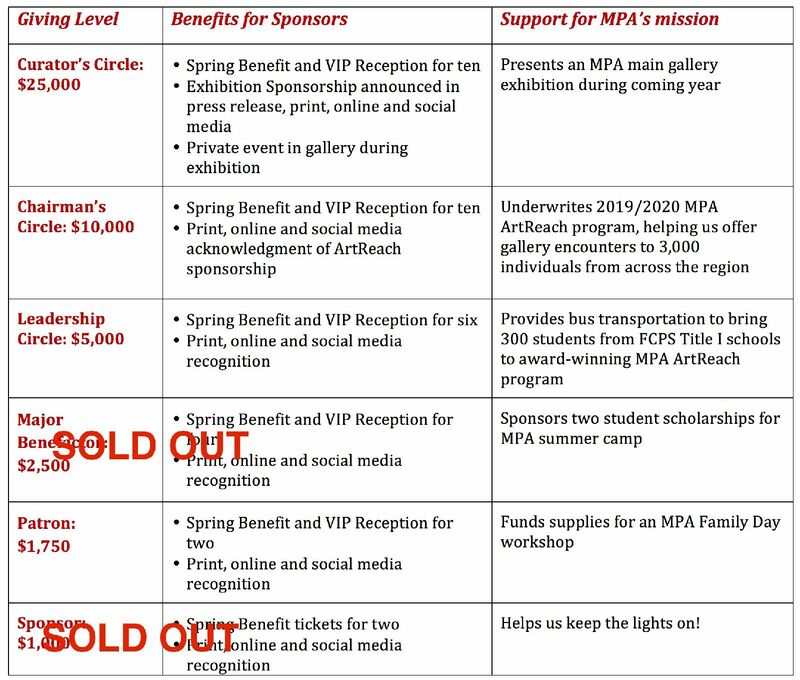 Please note: Sponsorships contribute to overall MPA operations and are administered through Board directed funds. Thank you for supporting McLean Project for the Arts. Connecting art and community since 1962.